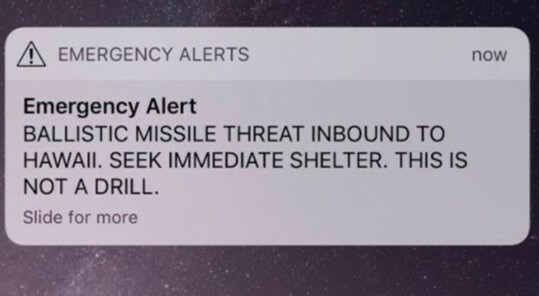 Last week someone seriously blew it in Hawaii – sending out an all-recipients text alert re an incoming nuclear missile when in fact none was coming in. “THIS IS NOT A DRILL” was the key to mass panic. It was presented, mistakenly (thankfully), as being the real deal. 4 But as we have been approved by God to be entrusted with the gospel, even so we speak, not as pleasing men, but God who tests our hearts. Those verses reveal to us one of the Kingdom policies that are in place during this “school of life” in which we live. 2 for kings and all who are in authority, that we may lead a quiet and peaceable life in all godliness and reverence. The bluntly honest scriptures even provide an example in Paul’s own life, where his recognition of a man’s authority required an acknowledgment of honor, and repentance on his part. Standing before a rather pompous and insolent man who had just ordered Paul getting smacked around, the apostle at first told it as he saw it, and then repented when informed of the man’s position. 2 And the high priest Ananias commanded those who stood by him to strike him on the mouth. See what this is leading up to? Saints reviling our President is a demonstration of our worldliness, our ignorance of scriptural instruction, and our immaturity. 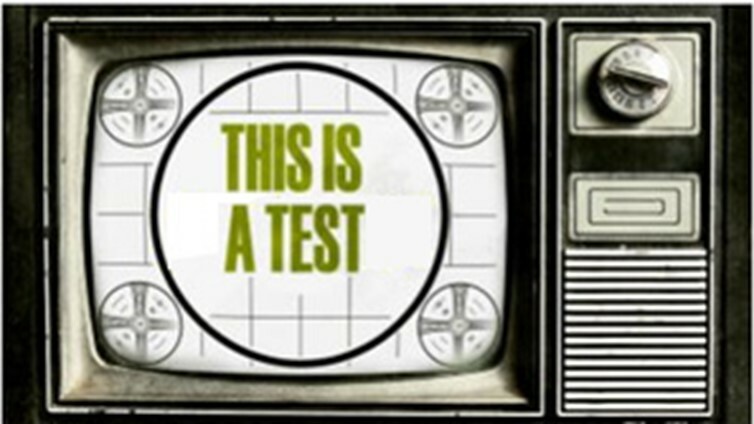 It becomes a test that many fail. When we fail a test, God in His mercy (and tenacity) will allow us to take it over again. And again. And again. Until we get it right. Saints of God cursing those who might curse others, reviling those who revile, pointing out the obvious sins of those in authority, demonstrate to the world (as well to our Lord, and the brethren) that we are not yet fully sanctified in this area of our lives, not yet under the complete influence of the Holy Spirit – whose leading will never ever contradict scripture, and instead we are behaving like the unredeemed in our inability or unwillingness to place a guard over our mouths, or our keyboards, to refrain from speaking evil. 8 But no man can tame the tongue. It is an unruly evil, full of deadly poison. 9 With it we bless our God and Father, and with it we curse men, who have been made in the similitude of God. 10 Out of the same mouth proceed blessing and cursing. My brethren, these things ought not to be so. 11 Does a spring send forth fresh water and bitter from the same opening? 12 Can a fig tree, my brethren, bear olives, or a grapevine bear figs? Thus no spring yields both salt water and fresh. Someone else’s inappropriate actions or speech do not justify our similar response. Currently, the government is not yet upon His shoulders, but it will be. For now, the world is still under the sway of the evil one. Don’t live that same evil sway. Come out from among them and be holy. Governmentally, we’re about at the toes of Nebuchadnezzar’s dream statue (Daniel 2). So do stay tuned (all things will eventually get straightened out by our soon and coming King), and meanwhile do be holy. Without holiness, no man shall see the Lord. We’re called to be light, not to contribute to the raging words of darkness. When we do fall into cursing and reviling a leader, even for their obvious sin, we are failing our own test, succumbing to our own flesh, demonstrating our lack of self-control, and in fact disappointing the One who called us to something way higher. Please know I am not writing this because I have somehow magically attained to perfection. I deal with my own issues, my own temptations, my own pride, my own sin. But I can’t and won’t dare lower the bar of scriptural holiness to avoid offending anyone, either you nor myself. The scriptures are words of life. This entry was posted in Anointing, Blessing, End Times Related, Everything, Fear of the Lord, God's Word, Holiness, Holy Speech, Pride, Repentance, Sin, Suffering, Testing, Understanding & Knowing God, Wisdom. Bookmark the permalink.